The Boredwalk Podcast, Ep. 35: Taking care of canna-business. This week Meredith & Matt are joined by customer Steven Cole Smith! Matt kicks things off with a very flirty review, and then we dive in with Steven to get an inside look at what it's like to work in the cannabis industry in Washington state, how it's changed with the transition from medical to recreational, how he got into it, and the unglamorous side of working in weed. We also discuss his fledgling paranormal podcast We Believe You, his band Loud Sleepers, and more! 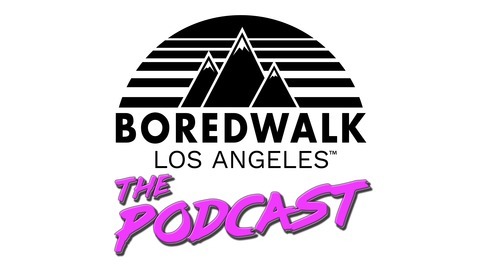 The Boredwalk Podcast, Ep. 34: A loud critique of a quiet place, dental disassociation, and more! The Boredwalk Podcast, Ep. 33: Party pooping, grammar rage, and Big Pharma homework. The Boredwalk Podcast, Ep. 32: The marketing/comedy Venn diagram, or how do I get this audience to buy these jokes? 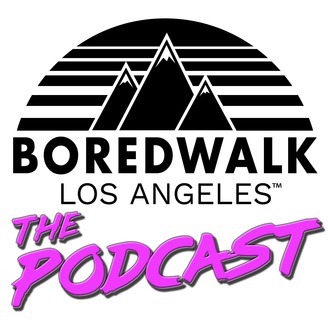 The Boredwalk Podcast, Ep. 31: Talkin' sinister banjo music with comedian Darren Carter!